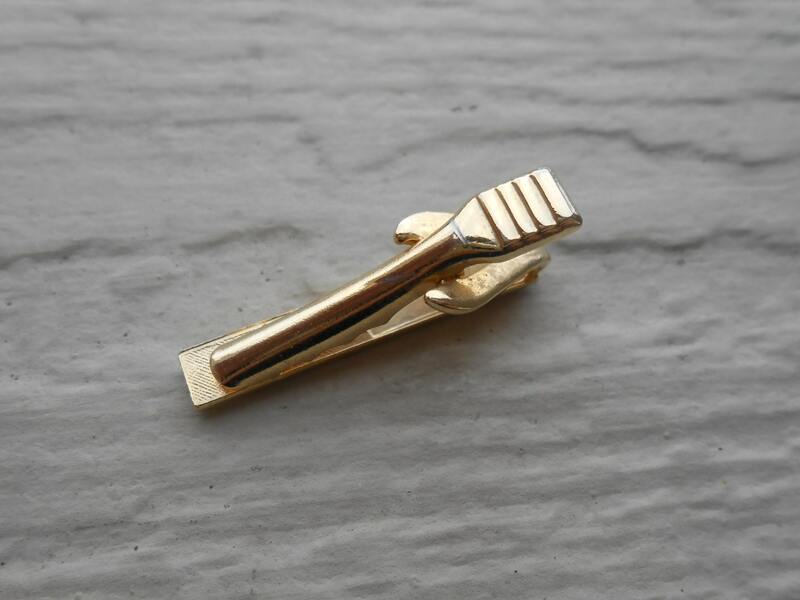 This gold vintage tie clip is very unique. 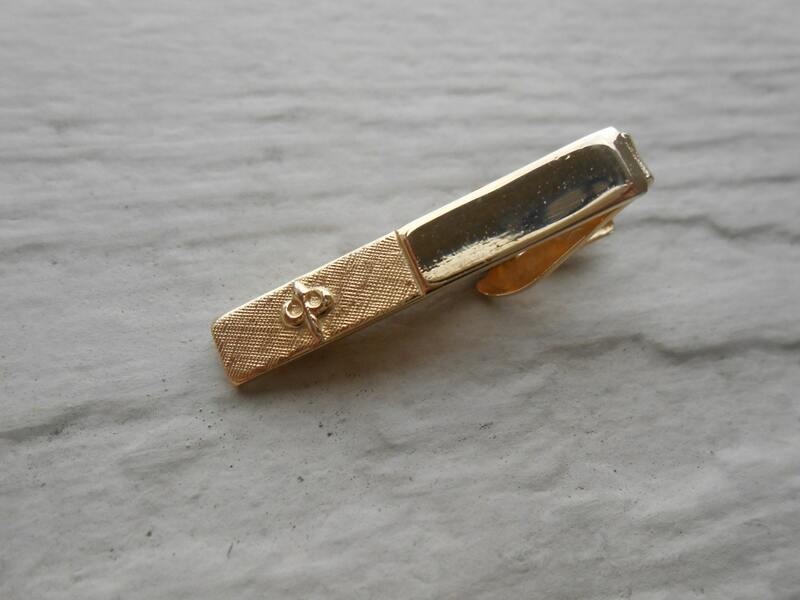 It is a gold color and has a Fleur de Lis. 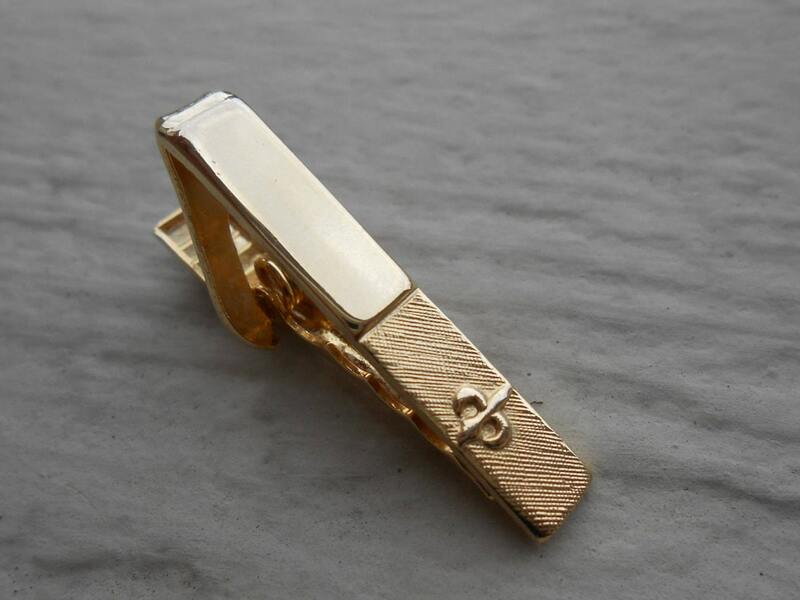 The tie clip measures 1 1/4" long. 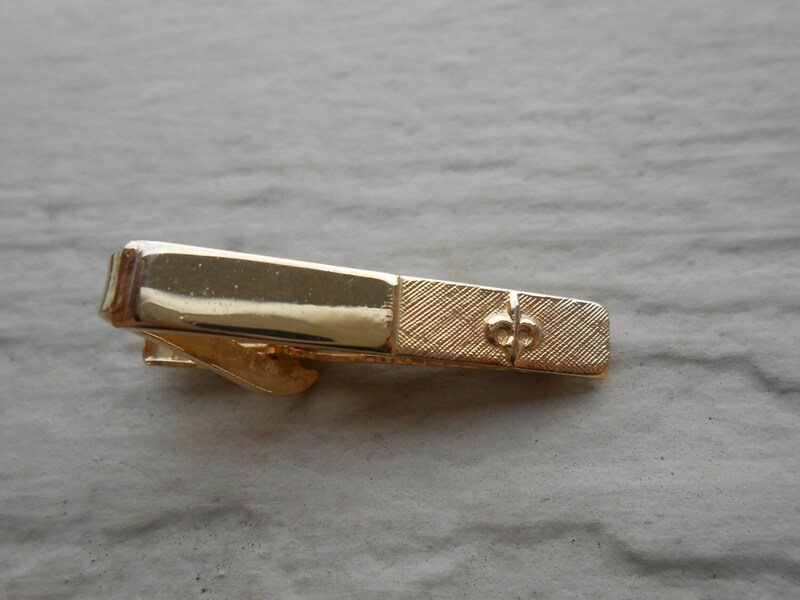 From the 1970"s and in good condition.